It finally came! 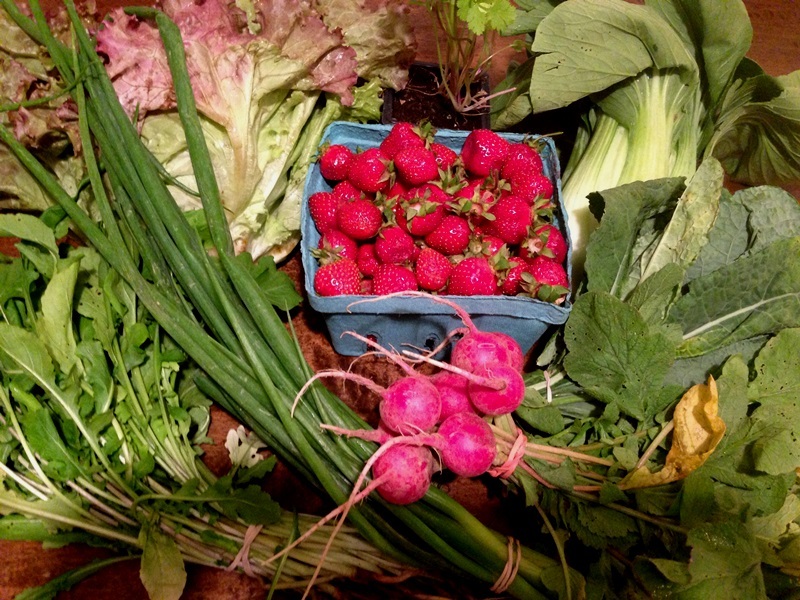 While every other blogger I know has been bragging over their CSA bounty for the past couple of weeks, I say silently lamenting my late start date. I’m hoping when I’m still collecting in November the joke will be on them, but somehow I’m not certain. I’m a bit of a CSA hopper. Or junkie. Whatever you want to call it. While I never jumped from relationship to relationship while dating, I find it difficult to commit to a single CSA. There are flaws I haven’t been able to overcome. The day of the week, the pickup time, the lack of communication, then there’s the produce itself. I’m a former member of the Yellow Hook and Tribeca CSAs and while there was nothing wrong with either of them, I never felt a connection. This year I swore would be my last year. If I couldn’t fall in love on the third try, I would need to face the fact that I was not CSA commitment material.